The 3rd generation of an absolute icon – the very popular new Maruti Suzuki Swift- India’s most loved hatchback – is here. The new 2018 Swift adds some oomph and also a lot of modernity. The new Maruti Suzuki Swift certainly looks really contemporary straight away. And a lot of that modernity is really coming in from the daytime running lights or DRL. The entire headlamp cluster is well finished. The car’s rear sports taillights that wrap around the fenders and complement the new design up front. The two-tone 15″ alloys (only on the ZXI+ or ZDI+) are nicely finished. The new 2018 Swift is 40 mm wider, has a 20 mm longer wheelbase, 58 litres more cargo space in the boot, and yet sits 10 mm shorter than the outgoing car. The orange paintwork on my first test car (ZXi+ petrol manual) is a new shade – Lucent Orange. There’s a new dark midnight blue, dark grey, white, silver, and the trademark solid red. And yes I have that with me too. The Fire red car with me is the ZDi AGS or automatic. 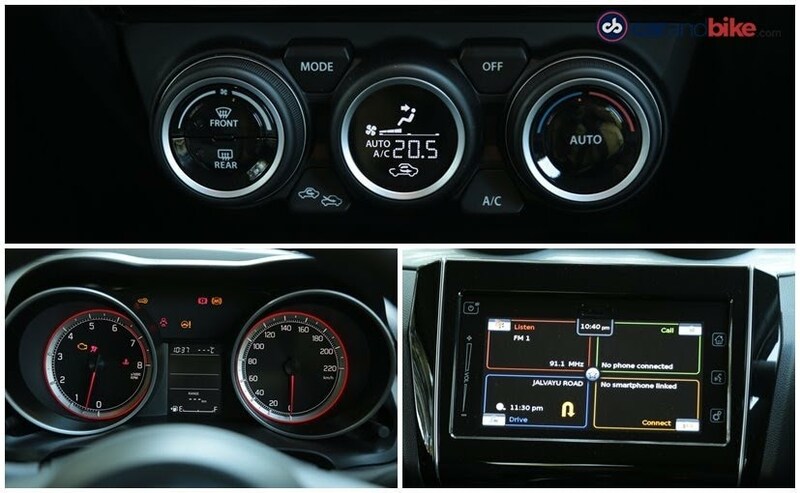 That’s a first for Maruti Suzuki – offering petrol and diesel with automatic at the very start on the 2018 Swift. 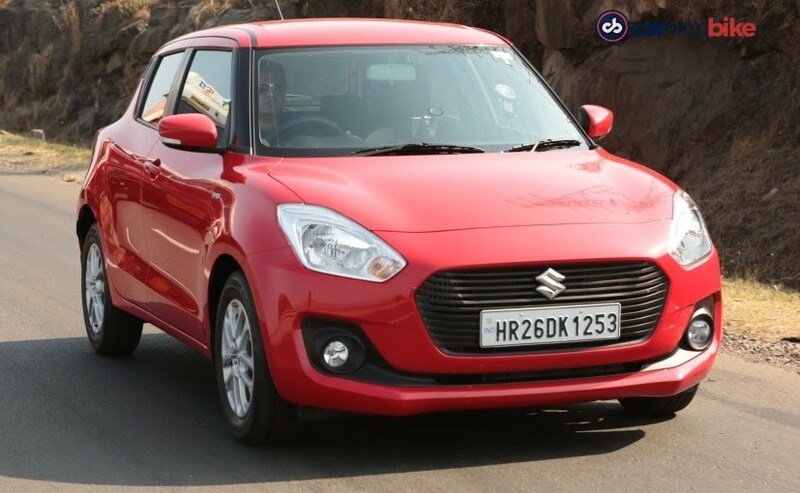 The face of the 2018 Maruti Suzuki Swift is a lot like the Dzire’s in terms of shape, but in terms of attributes, this one is a little sportier. The all-black treatment on the grille is certainly not as ostentatious as the one on the Dzire (which is chrome heavy). On the ZDi and below you don’t get the DRLs and even the headlamp design is very plain. To me that’s a bit of a miss! 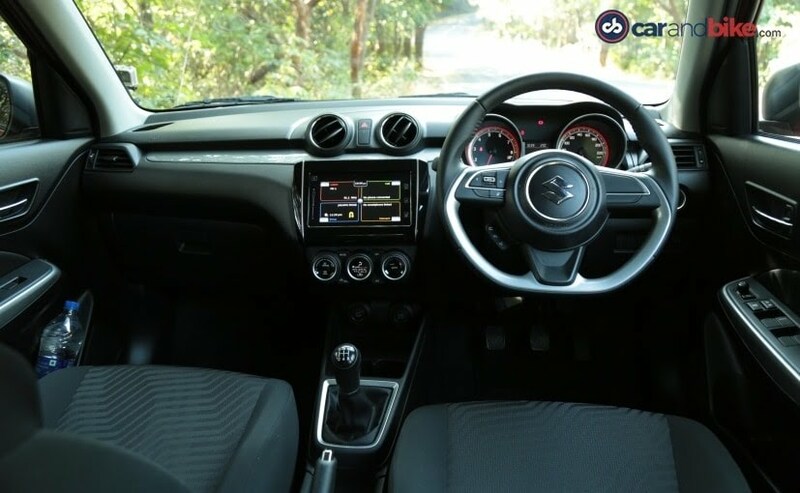 It should be a signature on the car and frankly if you ask me, Maruti should think about making that standard from the VDi or the VXi and upwards. The more refined headlamp defines the character of the car – and would tell you it’s brand new. Proportions are very much Swift-like. 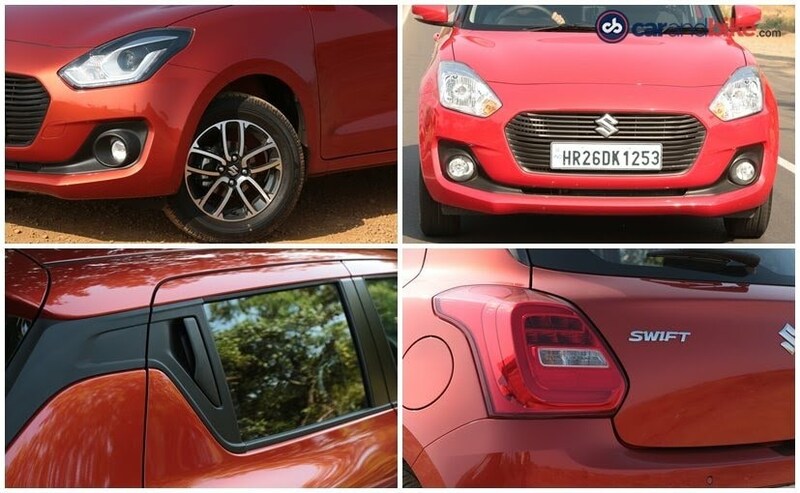 I am very happy that Maruti has retained the red as the primary colour because when you think Swift, you really think of this red colour. The floating roof is a nice design feature and it certainly begs the question – why no contrast roof? And I’m sure that Maruti will offer that at some point maybe on the I create or maybe subsequently on a different variant or a model (well at least I hope so). The rear door handle has been concealed up in the C-pillar and it will take some getting used. It does make the car look distinctly different and will stand as a signature of the new Maruti Suzuki Swift. Very pronounced haunches at the back lend a certain character and also make the car look nice and wide.